Virtually every facility that is involved in patient medical care must rely on some type of patient medical bill tracker in order to effectively collect bills and remain a viable institution. It is essential that the correct patient medical bill tracker be used. The specific type of patient medical bill tracker will depend largely on the type of facility that is in question, as well as the specific things that need to be tracked by the facility in order to ensure prompt payment. This will vary from one facility to the next, and while the same type of documents can be used as a starting point for virtually all facilities, it is essential that each facility tailor the document to fit its own specific needs. For anyone who has never used a document downloaded from the Internet, there is often a hesitation to use these types of documents for fear that they will be difficult to work with. However, this cannot be further from the truth. These documents are typically among some of the easiest things to use and they make it much easier to do the necessary office work that is required to properly process bills and track information. It is usually much easier to address a facility’s needs in this fashion than it is to create a document from scratch. Furthermore, when downloading from this site the template is free to use and can be downloaded right away. It is also customizable, allowing many facilities of different types to use it to fit their needs. Its ease of use makes it one of the best choices for tracking billing costs effectively. It is very easy to use a document of this type. It can be used as is or it can have some of the fields customized to include different information. 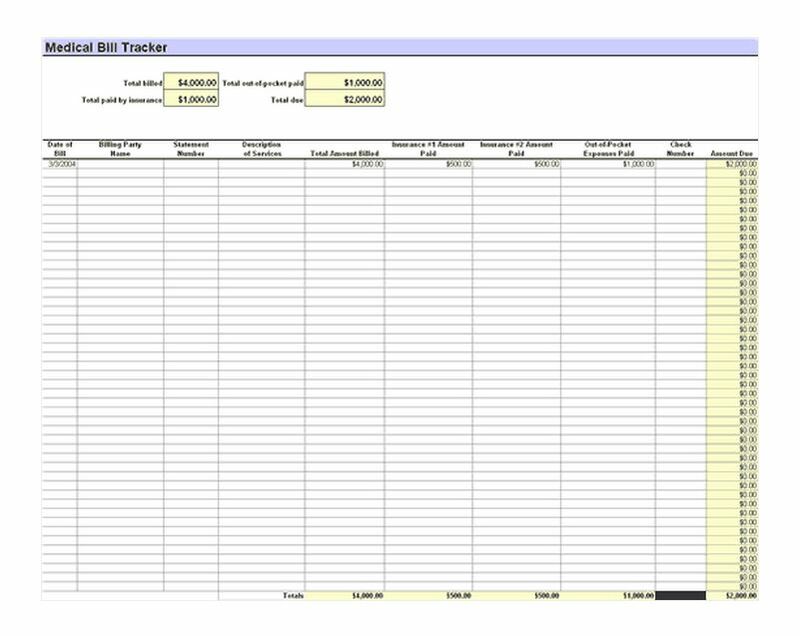 Fields can be added or eliminated in their entirety in order to allow facilities to truly customize the document in every way possible. Using the document is as simple as downloading it and then changing the fields to fit specific needs. This can be accomplished by typing in the information that is required in a given field in order to customize it. The documents can then be stored on the computer in digital format or printed out for a hard copy. Using a document of this type makes it much easier to track expenses and to keep up with patient information. Therefore, there is little reason not to use documents that can be downloaded instantly, such as those documents that are downloadable on this website.